5 ½ cups mixed Fruit e. g figs, pears, nectarine, gooseberry, banana etc. 1 Cut the fruit into bite-sized pieces and arrange decoratively on a serving plate. 2 Put the cream and chocolate into a pan and melt the chocolate over a low heat, stirring constantly. 3 Stir in the orange zest and juice. 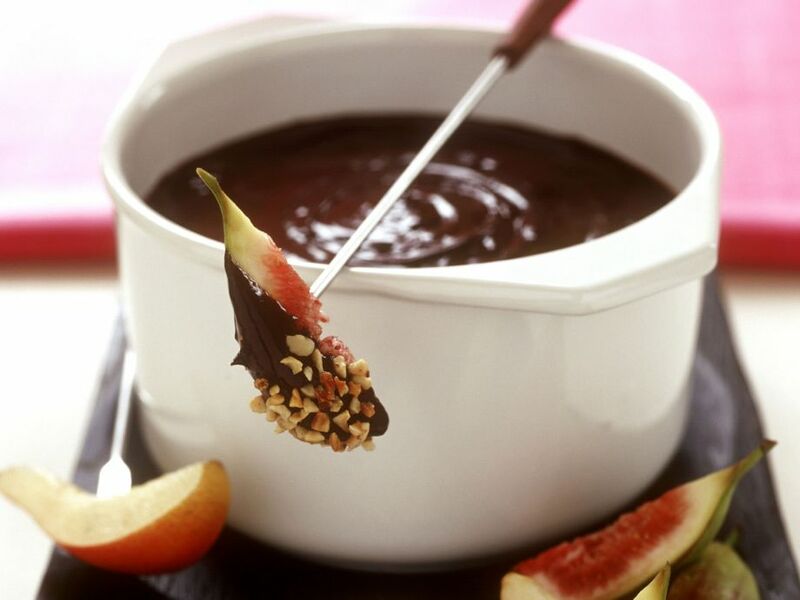 Transfer the chocolate to a fondue pot and place over a heat burner. Add a little orange liqueur to taste. 4 Spear the fruit on fondue forks or wooden cocktail sticks and dip into the sauce. 5 Serve with chopped nuts and coconut flakes.